Online ticket sales end 1 hour before showtime. Please purchase tickets in the Main Lobby at Gusman Concert Hall after 6:00pm on March 17, 2018. This concert will start promptly at 7:00pm. A native of St. Petersburg, Russia, Grisha Goryachev is renowned for his extraordinary musical sensitivity and technical virtuosity in both classical and flamenco styles. Grisha is one of very few guitarists in the world who is reviving the tradition of solo flamenco guitar in a concert setting that was practiced by legendary flamenco masters such as Ramón Montoya and Sabicas. Grisha strives to keep alive older flamenco masterpieces that now exist only on records, by performing them in concerts. Instead of merely copying, he creates his own interpretations of these masterpieces, using dynamics and tone colors usually associated with classical guitar. Grisha began playing guitar at the age of six, studying first with his father Dmitry, an acknowledged master teacher of the instrument. At nine years old, Grisha started his performing career as a child prodigy. His numerous performances before large audiences in the most prestigious concert halls in the Soviet Union were highly praised. Following a tour of Spain, Grisha was invited to play for flamenco legend Paco de Lucía, who soon after personally intervened in support of his application for an American visa, which was awarded in 1997 on the basis of “Extraordinary Ability.” In May 2005 Grisha was awarded the prize for Best Performance of Spanish Music at the VI International Classical Guitar Competition “Julian Arcás” in Almería, Spain. Grisha received his Bachelor, Master and Doctor of Musical Arts degrees from the New England Conservatory of Music in Boston, where he studied under famous guitar virtuoso Eliot Fisk. He was one of the 30 people in 2006 to become a fellow of the distinguished Paul & Daisy Soros Fellowship, recognizing him as exceptional in his chosen field. Since his arrival to the United States, Grisha has toured extensively in the states and abroad as a performer, instructor, and judge for many prominent festivals and venues. 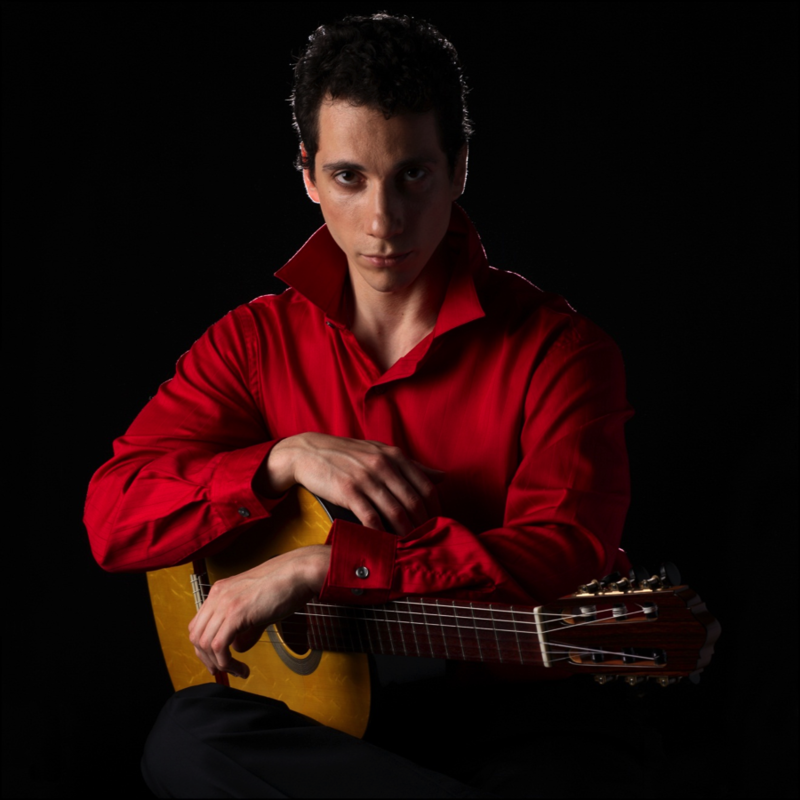 A firm believer in exposing the young generations to the beauty of classical and flamenco guitar, he likes to include Outreach performances and workshops at schools as part of his concert tours. Grisha’s YouTube videos have collected over two million views and many notable comments. Grisha recorded two CDs: “Alma Flamenca” and “Homenaje a Sabicas”.